In this paper, a method for the automatic design of Fuzzy Control Systems is introduced. 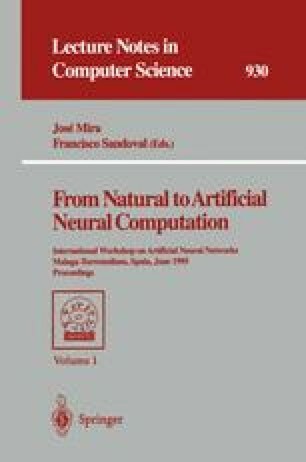 The method is based on the identification of the inverse model of the process to be controlled by using a Neural Network. The Neural Network which models the inverse process, is used again to obtain a set of tuples representing the fuzzy variables of the fuzzy controller. In order to obtain the fuzzy linguistic variables involved in the fuzzy controller, a Neural Network is used with the DCL algorithm. Finally, the fuzzy controller is implemented by a decision table. The method has been applied to the automatic development of a fuzzy controller for a highly non linear process.